All Propspeed at Rivergate and NRW. The cruising cats and yachts just keep coming. Its always great to hear all about their sailing adventures. 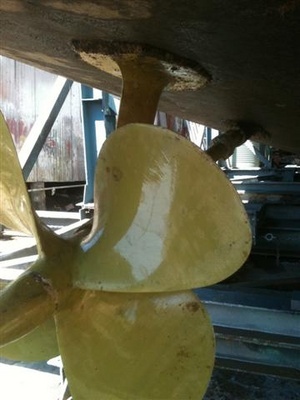 Propspeed™ prevents marine growth from bonding to metal surfaces below the waterline. Propspeed™ works because it is slick, not because it is toxic. Application of Propspeed™ is a simple two step process beginning with a catalyzed etch primer followed by a silicone based top coat. Propspeed™ is an environmentally safe product and does not contain copper, tin or any other toxic substances which may cause environmental pollution. 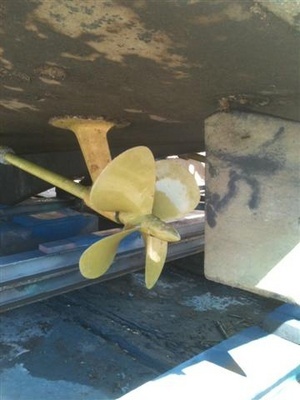 Propspeed™ is a solution to a problem which has frustrated owners and captains for years. 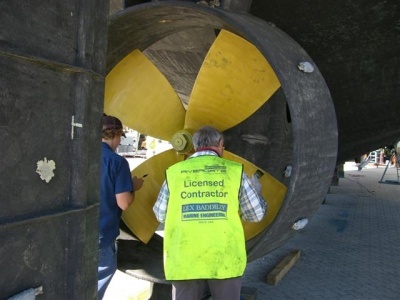 The Propspeed system is not recommended nor approved for use in aquaculture or contact with food products. Leilani after 12 months. Will Propspeed the shaft and skeg this time out. Sandy Cape after 12 months. This is before pressure washing.